Ever do something you never thought you could? Even after you’ve done it? I’ve run a few races from a half-marathon up the side of Pikes Peak to running a 50-mile race that included a crazy two-mile hike up the steepest hill I’d ever seen. But that Boston Marathon on Monday….harder than all that. Now that the soreness is fading away, I am asking my self how I did it. Mostly because I want to learn from it, but also because people are asking me, too. I mean, I did the training, so I was physically fit, yes. But that cold, that wind, and that rain….how did I beat that? How did all of us runners beat that? I think the only way to describe how we did it is to say, we dug deep. I hear that phrase a ton, and it sounds awesome, but what does it mean? Dig deep into what? That makes more sense. Digging into your grit. Your strength. Your spirit. 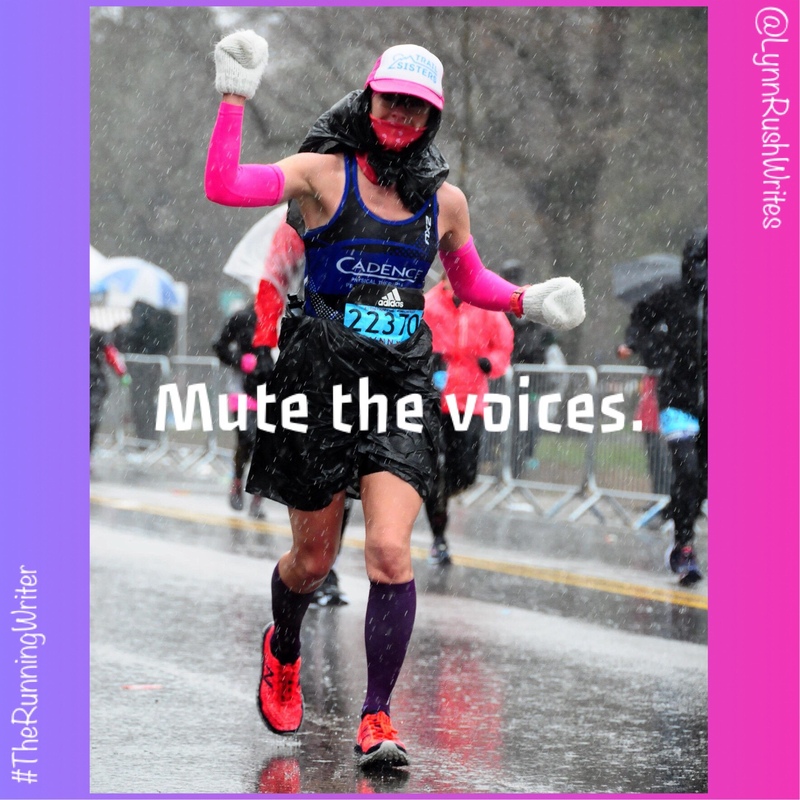 The encouraging crowds, fellow runners, and the support from family and friends play a role in accessing your grit, too. They help fuel it, help build a reserve that you can dig into. You’ve got grit, too. Take a minute and look at something in your past that you’ve overcome. Maybe it was health related. Digging out of financial problems. Losing weight to get healthy. Finishing school against the odds. Overcoming a tragedy. It doesn’t have to be an athletic event such as a race. We’ve got to dig deep to face off with life, too. You did that. You dug deep. You CAN do anything. There will always be a little voice telling you that you can’t do it. That you’re weak. Press mute on that negative voice. You got this.